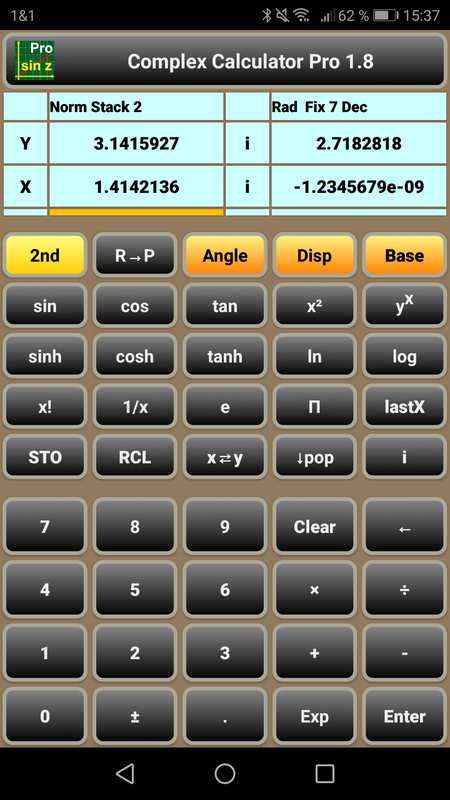 Use the app like a normal pocket calculator - with the following special features. 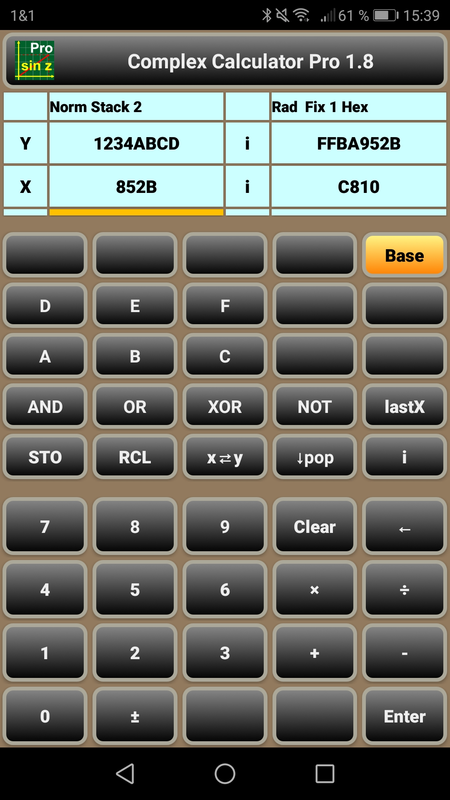 The data input scheme is RPN (reverse polish notation), as well-known from HP calculators. The data is kept in a stack, from which the lowest two entries (called X and Y register) are always visible. To toggle the active input field between real and imaginary part, use the "i" button or touch the related input field. The currently active input field is highlighted with an orange bar. After pressing the "2nd" button, the related buttons change their labels (e.g. "sin" → "asin"). All scientific functions work as well-known, however with complex results, if required. Even the factorial "x!" reveals some more results - using the gamma function. Try it! For further information, please look into the FAQ. That's it! Have fun with the app.